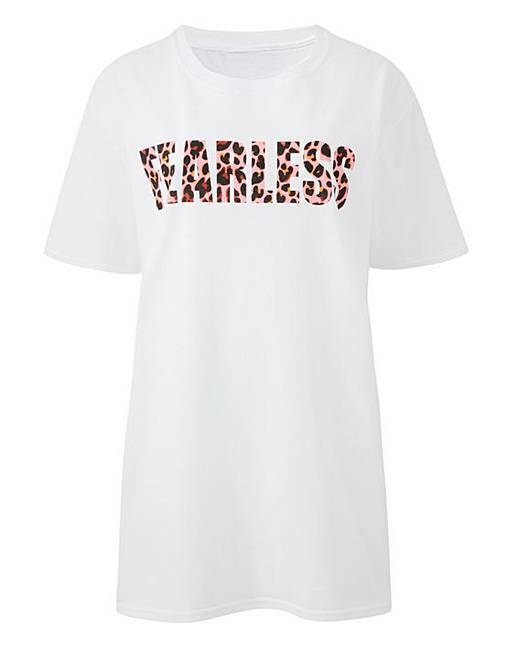 Be 'Fearless' in our new Slogan Tee. Make a statement this season, this perfect easy-to-wear style can be paired with Jeans (VZ212) or our new Zebra Midi Skirt (FK381). Why not even layer under our Cami Dress (UJ891). 30% of the purchase price will be donated to Breast Cancer Now, a working name of Breast Cancer Care and Breast Cancer Now, a registered charity (Nos 1160558, SC045584 and 1200). 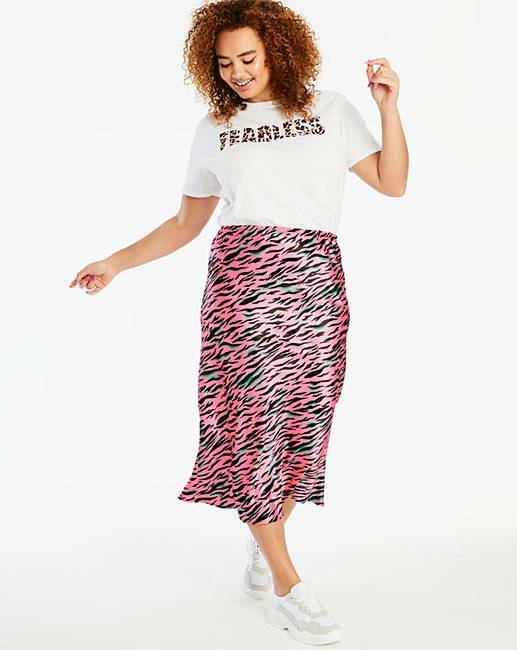 Fashion Targets Breast Cancer is Licensed by the Council of Fashion Designers of America, Inc./CFDA Foundation, Inc., U.S.A.
S (8/10), M (10/12), L (14/16), XL (16/18), 2XL (20/22), 3XL(24/26).